HomeUncategorizedThere is a BIG difference between an appraisal for estate planning verses insurance! Many people recall what they originally paid for their most cherished possessions. Yet, what does that cost become when an appraisal must be put in place. 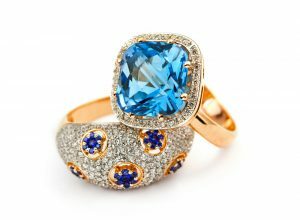 In the case of an appraisal, the original cost to attain an item rarely determines the actual value of the item today. Two types of value that a personal property appraisal considers are fair market value and replacement cost. Fair market value is determined using the sales comparison approach to value, which means the appraiser considers the actual price at which the same or a very similar item has sold for in the current market. Replacement cost requires a cost approach to value, which requires the appraiser to unearth the price that a person will be required to pay for the same or similar item. In the case of an insurance appraisal or damages claim, the cost approach is used to determine value. The replacement, restoration or reproduction of a lost item will cost whatever price a current seller has placed on the item. 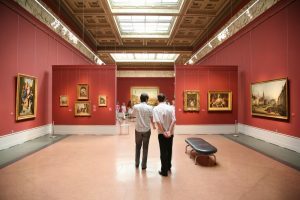 For example, if a painting is lost in a fire, then the cost to replace it might be the price that must be paid to the artist to reproduce the piece. Another example to consider is a flood in the home that damages an expensive Restoration Hardware furniture set that was in excellent condition. Replacement cost is what the client will have to pay Restoration Hardware to replace that furniture set. In the case of an estate planning appraisal, the sales comparison approach is used to determine fair market value. The sales comparison approach considers what a willing seller can expect to be paid from a willing buyer in a resale marketplace. And, in the case of fair market value, neither buyer or seller must be under compulsion to buy or sell. Meaning, the value being determined is not liquidation value. The most reliable source for valuing items in the fair market are past auction archives, because they authentically show what the public commanded the selling price of items to be. The fair market is an interesting place, for it can reflect the state of the economy, trends in style and whether a piece is hard or easy to attain. Many works of art can maintain and increase in value in the fair market due to their collectible nature. However, in our current market, Chippendale mahogany drop leaf tables have lost value because too many people are selling them at once and they are not part of the current trend in furniture styles. The appraiser knows this information from research of recent sale prices that have been realized for the same or similar items. In the case of an estate plan, the appraisal needs to reflect what an heir might attain if he/she were to sell the inherited items. An estate planning appraisal and an insurance appraisal are two very different approaches to value. If you own anything that would leave you devastated if harm came to it, then I highly recommend an insurance appraisal be put in place. Common items to insure include fine jewelry, art, designer furniture, antique furniture, expensive rugs, sterling silver flatware, coins and any other collection that has been costly and brings you joy. If your attorney is preparing an estate plan, then anything you own that holds monetary value should be appraised. This process allows for equitable distribution among your heirs and pre planning of gifting inheritance. Your insurance agent and estate planning attorney are experts of advisement when considering these things. Finally, all types of appraisals need to be reviewed and re written every five to seven years in order to reflect current values. Cost, price and value in every marketplace changes in tandem with the economy and the unique trends of society.